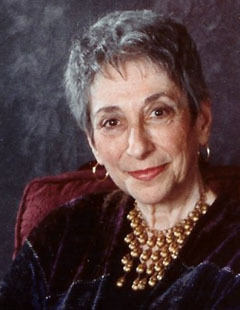 Famed Storyteller in City Different June 28-30: Famed storyteller, teacher, author, and recording artist Penninah Schram will be the Shabbat Scholar in Residence at Kol BeRamah Torah Learning Center in Santa Fe; and will also present a Sunday afternoon program at Collected Works Bookstore and Coffeehouse. Kabbalat Shabbat June 28: Friday evening services, dinner, and program (suggested donation $18). Peninnah will share some of her "Sacred Stories for Shabbat." In the Jewish oral tradition, there are many beautiful stories and music centering around the theme of Shabbat. By hearing some of these, we enhance the Shabbat experience as a community. Shabbat Services & Kiddush June 29: Peninnah will help us explore "What's in a name?" Our names carry many meanings and blessings; names can shape our lives and our personalities. We will explore sources, meanings, and our connections to our names. Sunday June 30 @ 2:00 pm: Collected Works Bookstore, 202 Galisteo Street, all-ages public program entitled "Humor and Hokhma with a Detour through Helm." 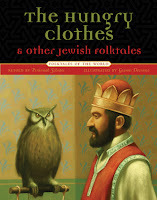 We will hear Jewish stories of wit and wisdom, including fool and trickster tales. Peninnah Schram is an internationally known storyteller, teacher, author and recording artist. She is Professor of Speech and Drama at Stern College of Yeshiva University in New York City, and is the author of 12 books of Jewish folktales and a CD.